Sprains, strains, and tears make up the leading nature of workplace injuries, and the back, shoulders, knees, and ankles are most frequently affected by these injuries, according to 2012 reports from the Bureau of Labor Statistics. Since these types of workplace injuries are so common, it’s important for you to know how to identify them and when you might need the help of a workers’ compensation attorney near Baltimore . As this video explains, swelling and discoloration of the ankle are symptoms of a sprain. If the ankle or foot is deformed or out of alignment, the injury is likely a break. Though ankle sprains are generally more painful than actual breaks, the injured person should be able to move his or her foot and put slight pressure on it. Many ankle sprains heal without major treatment, but if you suffered a sprain while on the job, it’s imperative that you go to a doctor for evaluation. You should also report the incident to your employer as soon as possible. If you were injured while performing your job duties and your employer is refusing to offer the compensation you deserve, hire a workers’ compensation lawyer to assist with your claim. Every 14 seconds, someone is injured in an auto accident. With so many car crashes happening every day, it’s important for drivers to be prepared and to know what to do after an accident. If you are in an auto accident, remember to take the following steps and consult an experienced car accident lawyer in Anne Arundel County . Immediately after an accident, move the cars to the side of the road and away from traffic to prevent further accidents or injuries. If the vehicles cannot be moved, everyone should stay in their cars with their seatbelts fastened while waiting for help to arrive. If you or your passengers have been injured, seek medical assistance right away. Keep all of your medical records so that an accident attorney can help you receive full compensation for your personal injury. Record the name, address, phone number, driver’s license number, license plate number, insurance company, and policy number of the other driver and owner of the vehicle. You will also want to write down the year, make, model, and color of all vehicles involved. If there were witnesses to the accident, get their contact information as well. Take photographs of the vehicles, damage caused, the location, and any relevant traffic signs or signals. You will also want to file an accident report with the police if no officers arrived on scene. By creating a complete picture of the collision and how it happened, you can improve your insurance claim and strengthen your case with a car accident lawyer. It’s important to notify your insurance company right away about any accidents so that you can file your claim properly and receive full compensation. You may also need information about what your policy does and does not cover after an accident, like costs for towing or a rental car. 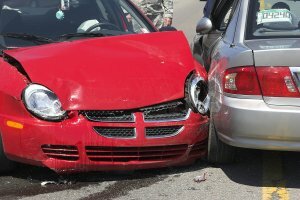 An attorney with a car accident law firm can help you recover the costs of medical bills, car repairs, and missed work. If you suffered an injury due to another driver’s negligence, you will want an experienced lawyer to act as your legal advocate when going up against the other party for compensation. Your accident attorney can also negotiate a fair settlement with your insurance company and will offer full support while you recover. Millions of car accidents occur each year. Even a minor fender bender can lead to serious health issues. If you or a loved one has sustained injuries because of a crash, consider working with an accident attorney in Baltimore. By consulting a car accident law firm , you can explore your legal options for obtaining compensation for your medical bills and related expenses. Your accident attorney has likely represented other clients who have sustained similar injuries, including the following medical conditions. 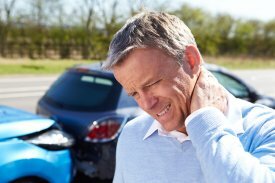 Neck injuries are among the most common types of health problems sustained by car accident victims. Whiplash is a type of soft tissue injury that affects the delicate structures of the neck. It often occurs in rear-end collisions, when the head is suddenly forced in one direction, and then the opposite direction. The symptoms of whiplash can include neck stiffness, soreness, and pain, along with reduced range of motion and impaired flexibility. If left untreated, it is possible to suffer from chronic pain due to whiplash. The potential for a chronic medical condition highlights the importance of consulting an accident attorney right away. Other neck injuries may be even more serious, including cervical radiculopathy. Many people consult an accident attorney in Burnie because of back injuries sustained in a car wreck. Back injuries may involve soft tissue injuries, such as strains and sprains that cause pain and hamper mobility. Or, a back condition might involve damage to the intervertebral discs, which may sometimes require surgery. Other common types of back injuries include fractures of the vertebrae and lumbar radiculopathy. Very serious back injuries that affect the nerves of the spinal cord can lead to permanent paralysis. One type of frequently overlooked medical issue stemming from car accidents involves mental health. Your accident attorney may demand compensation for your psychological problems, such as post-traumatic stress disorder (PTSD), emotional distress, and anxiety related to your injuries. If a loved one died as a result of a car accident, you could also demand compensation for this loss. We’d love to hear from our clients. If you’ve had a positive experience with our office, take a few minutes to post a review us on our Google+ page . Could You Qualify for Social Security Benefits? 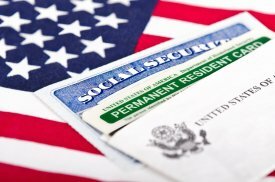 The Social Security Administration (SSA) has enacted strict requirements for those who are applying for disability benefits. First, you must have worked at one or more jobs that were covered by Social Security. You must also have a qualifying medical condition that is considered a disability. Other factors may play a role, such as your education and your age. To make sure your claim is filed properly the first time, consult an attorney at law in Baltimore. Your personal injury attorney will help you determine whether to file a temporary or permanent disability claim . When filing your claim, your personal injury attorney will demonstrate that you are no longer able to do the work you previously did because of your disability. Other qualifying criteria include the duration of your disability; you may qualify if your condition is expected to persist for at least a year or to be fatal. In addition, the SSA will consider whether you are able to take on different work responsibilities or occupational roles. A traumatic brain injury (TBI) is a serious medical condition that is often inflicted on victims of car accidents. Minor head injuries may involve temporary, albeit disruptive symptoms, while severe TBIs can cause complications that last a lifetime. Medical bills can quickly pile up for car crash victims, which is why it’s so important to contact an accident attorney right away. An accident attorney in Baltimore can investigate your case to determine if you could be eligible to file a personal injury lawsuit and demand compensation for your injuries. It’s important to tell your accident lawyer about all of the symptoms you experience. Since some of the symptoms may not arise immediately, stay in close contact with the personal injury law firm. If you have suffered a minor TBI, you may experience physical symptoms such as brief loss of consciousness, nausea, vomiting, and headache. In the following days, you might notice that you’re having trouble sleeping, that you’re unusually fatigued, or that you’re experiencing dizziness. A moderate to severe TBI can result in physical symptoms such as seizures, loss of consciousness, headache, weakness or numbness of the digits, and loss of coordination. You might also have clear fluid that drains from the ears or nose. A TBI often results in cognitive challenges , which may require intensive therapy. Your accident attorney in Burnie can help you demand compensation for these medical expenses. For a mild TBI, these cognitive symptoms might include memory problems, mood swings, and depression. Those who suffer a severe TBI can experience slurred speech, aggressive or violent behavior, and severe confusion. A traumatic brain injury may sometimes be difficult to detect in infants and young children because they are often incapable of informing caregivers of their symptoms. If your infant or young child was involved in the car crash, be alert to symptoms such as persistent crying, unusual irritability, and withdrawal from favorite toys. Children may also have changes in sleeping patterns and eating habits.